Indian international cricketer who currently captains the Indian national team- Virat Kohli has debuted his athleisure .. Introducing the Velvet Rope collection by Puma . Studio vibes combine with Fashion, as Puma joins forces with ..
German sportswear maker Puma has recently opened the doors to its biggest store in India at Delhi’s .. 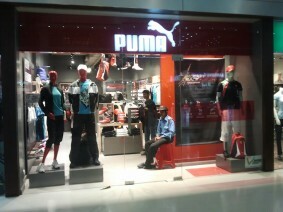 The celebrated brand PUMA noticed quite dynamic shifts in various markets in the recent quarter. For quarter ..